With summer finally arriving, most people’s thoughts turn to outdoor activities, and what better place to spend a sun-drenched afternoon than in the comfort of your own garden? 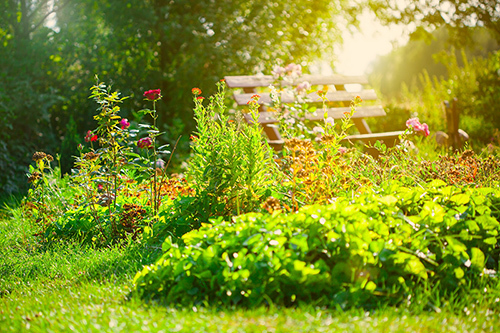 Whether your summer garden plans involve having friends round for a BBQ, playing with the kids, or simply escaping into a lounger with a good book, you’ll probably want to give your garden a pick-me-up after the long winter months. If you’re looking for inspiration, take a look at our top suggestions to help your garden make the most out of summer. Creating an edible garden is easier than you may think. Not only does a fruit or vegetable patch add extra colour and variety to your garden, you’ll also save a little money on your food bill as you tuck into some home-grown produce. 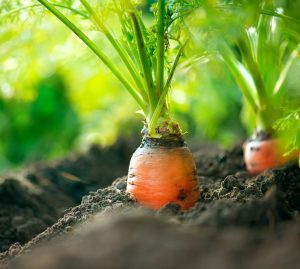 The start of summer is the perfect time to sow many garden vegetables, such as beetroot, cabbage, broccoli and radishes, as well as fruits such as raspberries and strawberries. The location of your plot can be anywhere in your garden that gets a little sunshine, and if you’re worried about pets or pests ruining your fun, fruits and certain vegetables will grow equally well in a hanging basket. Nothing says summer like a colourful garden, and there are numerous ways you can extra shades to your yard. The obvious choice is to add more flowers, with violas, petunias and sweet alyssum being the usual seasonal favourites. These can be added to your vegetable patch, hanging baskets, pots, window baskets, or dedicated flower patch or rockery. Outside of the flowerbeds, however, there is still endless potential for more colour in any garden. Why not try a new paint-job on your fences, or even a mural if you have the outside wall space? Outdoor furniture and rugs, bright pots and decorative tiles are all other options to help dazzle your guests with a summer garden. 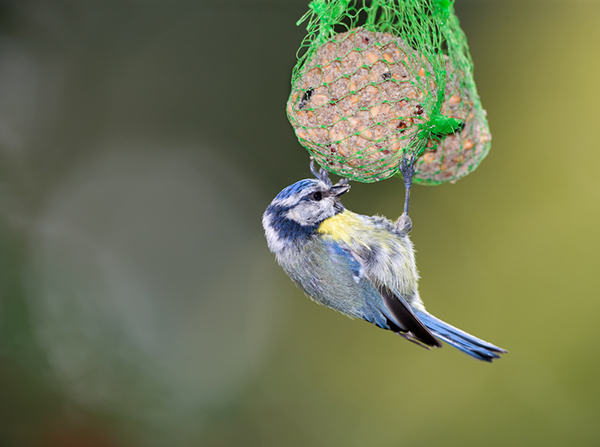 This may not be a desired outcome if you’re growing food in your garden, but if you’re a nature lover it can be both a pleasing and rewarding sight to start spotting more birds, squirrels and pond-life on your property. If you want to make the most of your bird-watching binoculars, you’ll want to consider a bird house to attract some feathered friends, or at the very least some hanging seeds and nuts. If you’d prefer to keep the feeder as a birds-only zone, you can also invest in a squirrel guard to ensure that access is for avians only. 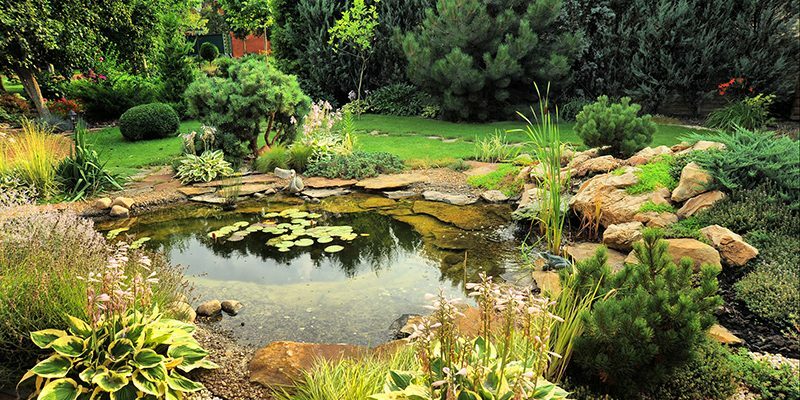 If you enjoy nature with a more aquatic theme, why not add a water feature such as a fish pond, and add the gentle sound of water to your relaxing evenings? When looking to landscape for the summer, most people’s attention instantly turns to the back garden, but it’s worth sparing a thought for the front of your property too. 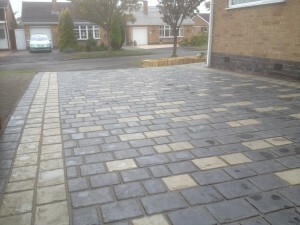 As well as adding extra colour and foliage, why not also revamp your driveway with new block paving, to impress your neighbours? For help in realising your garden vision this summer, don’t hesitate to get in touch with us at Groby Landscapes. Established in 1964, we’ve been providing expert landscaping results across Leicester and the surrounding areas for over 50 years. If you want to ensure your garden reaches its full potential with a new patio, decking, or any of the ideas mentioned above, you can be sure of professional service at competitive rates.